Join us for our Children’s music classes in our new venue at 6156 Ridge Ave, Philadelphia PA 19128. Drop ins welcome! 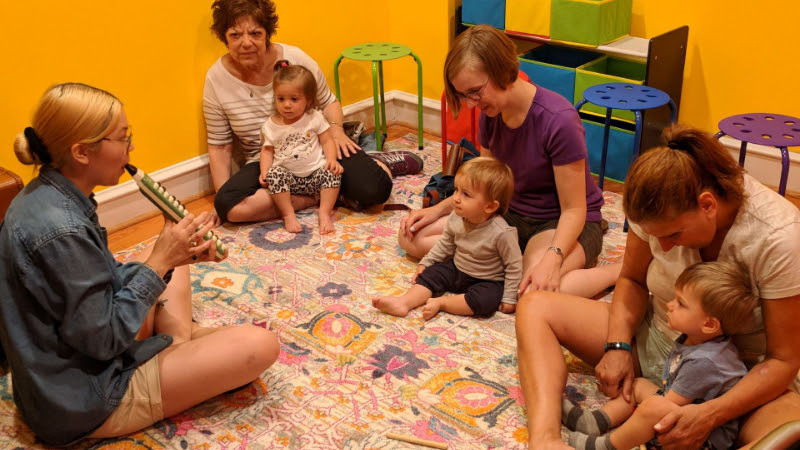 Wee Folk sessions will continue to introduce gentle sounds to your Wee Folk’s tender ears through sing-a-longs, stories and basic children’s percussive instruments. Parents and caregivers can participate in lullabies and sing-a-longs and help little ones clap along to basic rhythms. Wee Folk classes will also introduce more movement as our little ones become more active. Our PB & Jammers will get a hands on experience with some basic instruments including shakers, bells and tambourines. 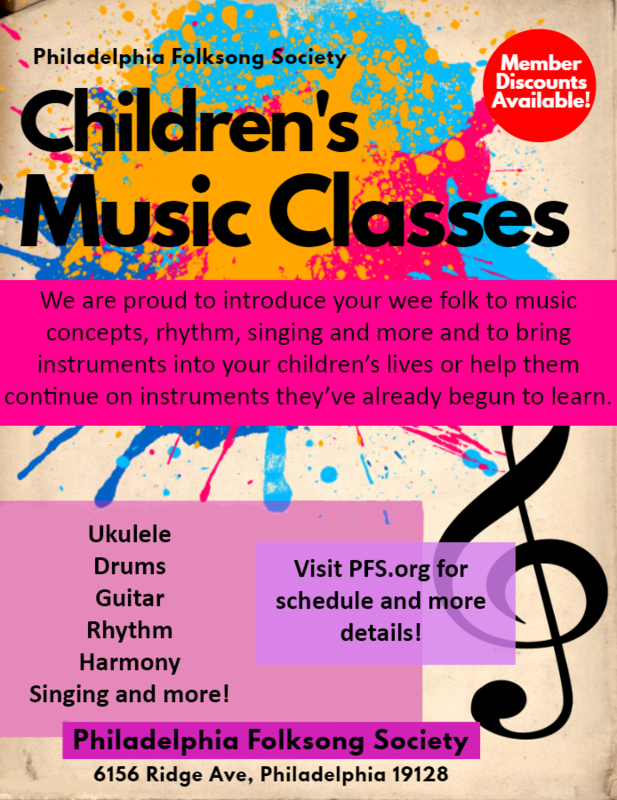 They will learn the fundamentals of rhythm and melody as well as a basic introduction to singing and music theory. Ms. Rachel’s Music Classes have been providing music education in lower income Pre-schools and High Schools in the Greater Philadelphia area since September of 2015. Her articulate style of encouraging children to express themselves through dance, music, and language have inspired many schools in the city to prioritize music in their curriculum where music education is no longer a requirement. She has worked with Music Training Center, The Penn’s Children Center, Girls Rock Philly, CCP (Community College of Philadelphia) Kindercare, Care-A-Lot Learning Center, Miss Marty’s Pre-School, Olney High School, Kensington CAPA, and YouthBuild. 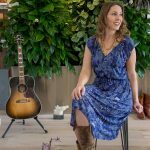 In addition to teaching music, Ms. Rachel is an avid tap dancer and is also an accomplished musician performing solo and with her band Rachel Andie and the V Element at venues around the city and at the 2018 SXSW Festival in Austin, Texas. She also writes catchy and fun original children’s songs. Miss Jess is a former Montessori teacher who first developed her love of making music with young children in the preschool classroom. 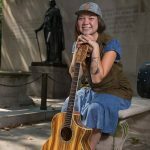 She has been leading children’s music classes primarily in schools in the Philadelphia area for babies, toddlers, and young children for the past four years. Miss Jess enjoys sharing the tradition of children’s folk music while mixing in popular and original music. She is committed to connecting children to their innate musicality and giving them the ability to experience the joy of connecting with others through singing, dancing, playing simple percussion instruments, and using fun props like scarves and parachutes. Miss Jess keeps herself very busy as the mother to a baby boy and singing, writing, and playing guitar with her band, No Good Sister.